High converting forms are like magical unicorns, once you’ve got one or figured out how to get one, you never want to let go. Good converting forms can do anything like selling products, capturing emails, generate leads and growing businesses. Let’s have a look at how you can use Collapsible sections and Image Choices to help increase usability and conversion of your Gravity Forms. Collapsible Sections for Gravity Forms helps users navigate your forms by collapsing and grouping your fields taking a step by step approach to your medium or large forms. Collapsible Sections can also be used for only part of your forms to highlight important information or breakdown options within your overall form, let’s take a look at some examples, shall we. By creating an account on this website you agree to the terms and conditions blah blah blah. Separate important information into groups to take your users on a sign-up process that feels quick and easy. Don’t make them think too hard and overload them with options or selections. What types of emails would you like to recieve? Easily add additional selections to your email sign up forms by asking your users what they like or are interested in. Keep the selections nicely hidden from view until they need to see the options using the collapsible section options. Orders ready from front counter in 15minutes. For all phone orders please call (02) 9384 9403. See how amazing Image Choices and Collapsible Sections work together in harmony on a page using just one Gravity Form. Create an order form and visualise your product options using Image Choices, then nicely group all the fields together into relevant sections using Collapsible Sections. Pure forms bliss. 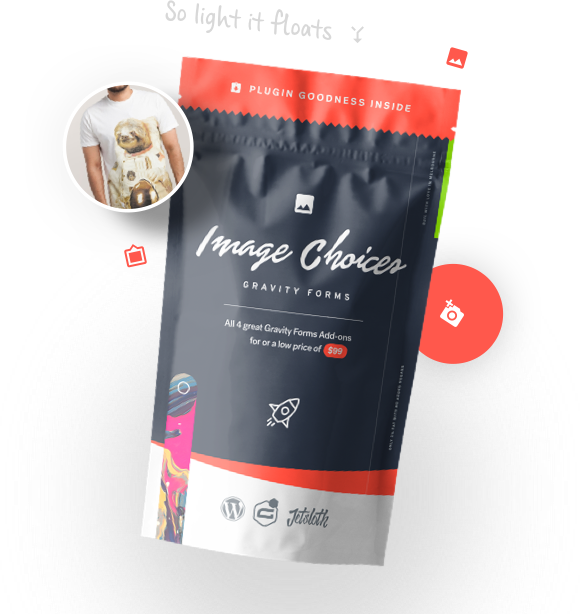 Easily visualise your product options or variations using Gravity Forms Image Choices. Get a better return on user clicks by giving your users something visual to click on, rather than text based options. 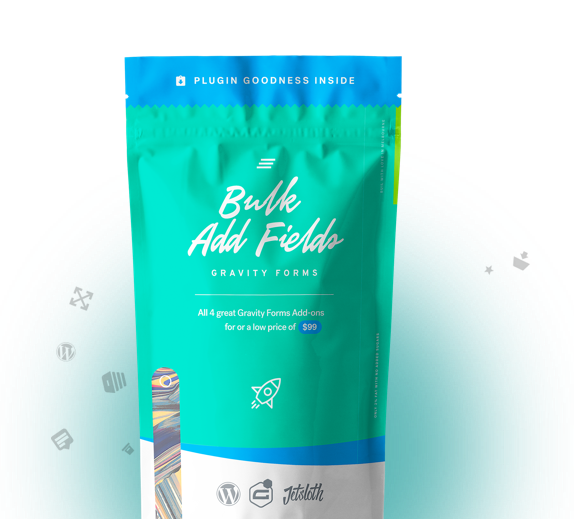 Want your Gravity Forms to look this good? 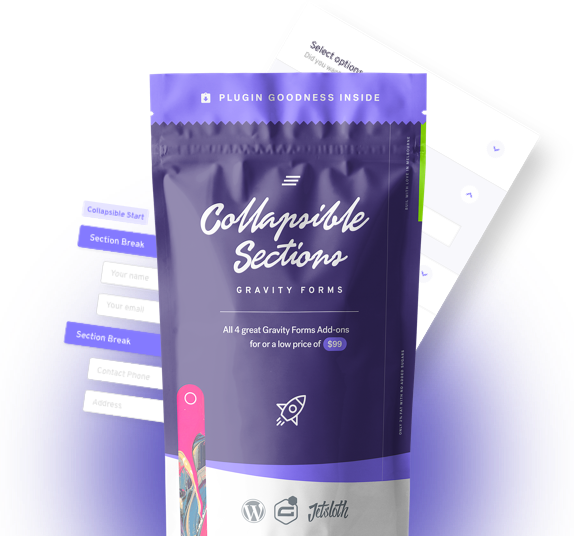 The best way to buy Image Choices and Collapsible Sections is in our Gravity Forms bundle. 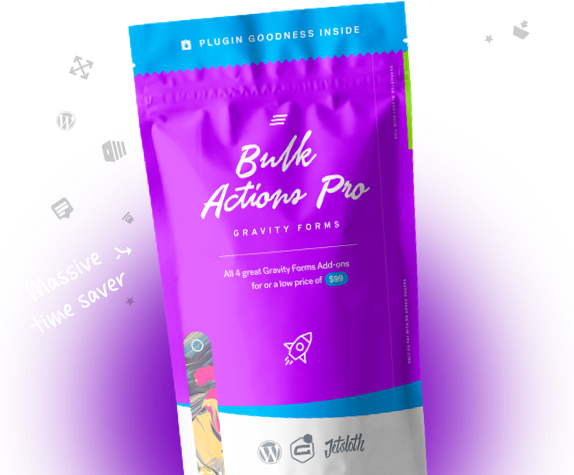 The bundle comes jam packed with all 4 of our Gravity Forms add-on plugins at a discounted rate.